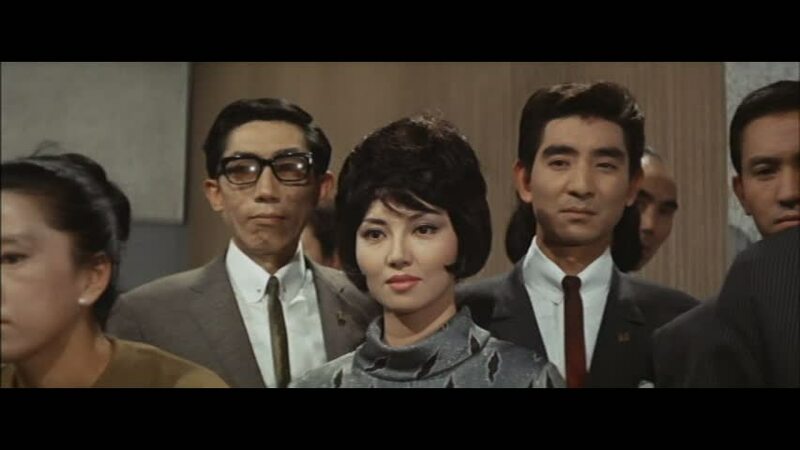 This follow-up to Ghidorah, The Three-Headed Monster (1964) is not quite as much fun. 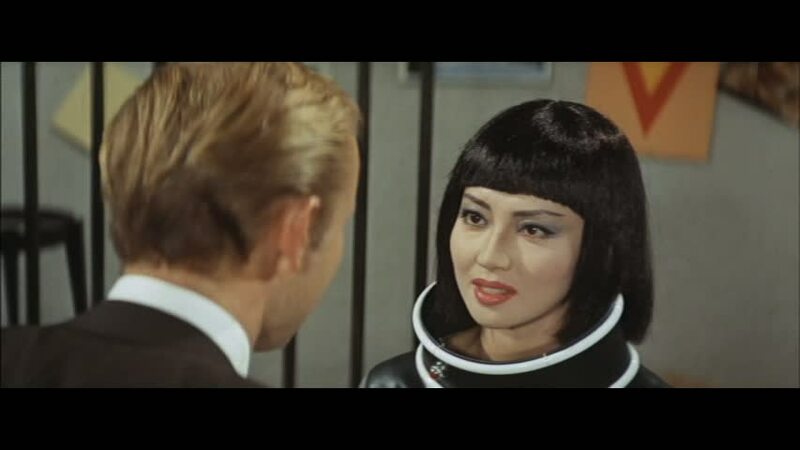 Still, the presence of the sultry Kumi Mizuno in a key role makes Invasion of Astro-Monster (1965) a pleasurable experience. 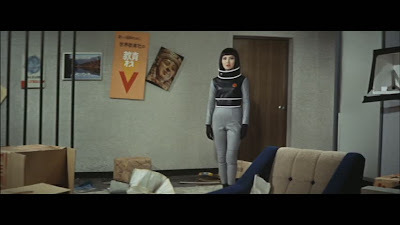 Kumi Mizuno plays the mysterious Miss Namikawa who works for a toy company on Earth but is really an alien woman. 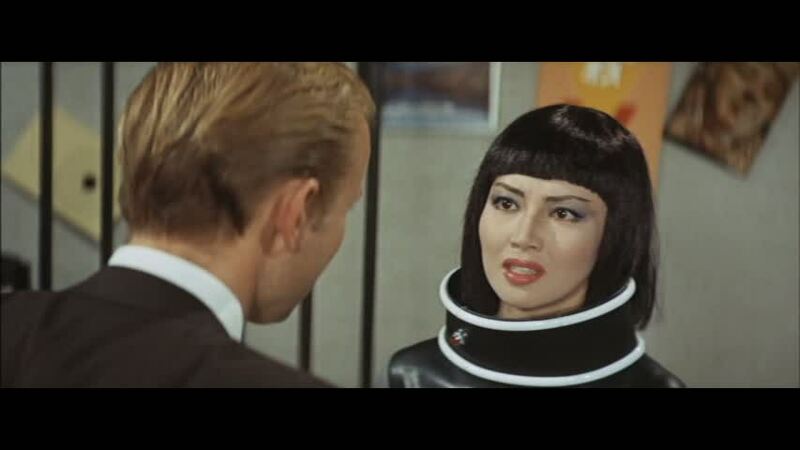 In fact, on her Planet X, all of the women look like her. 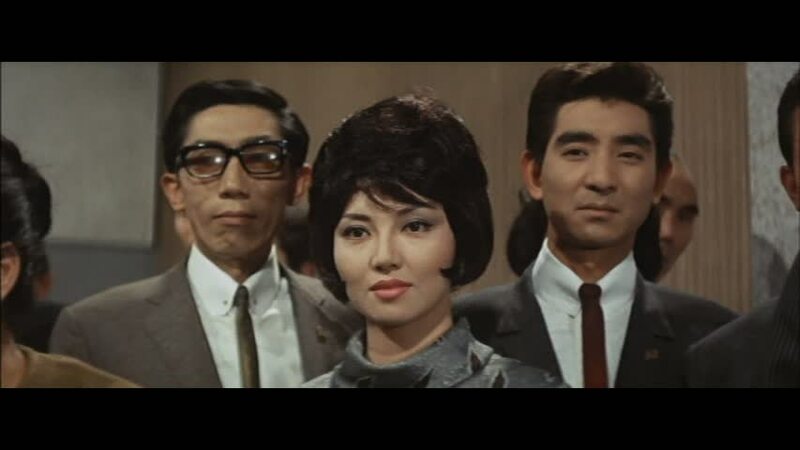 For a good overview of the career of Ms. Mizuno, check out this biography from the Cult Sirens website. 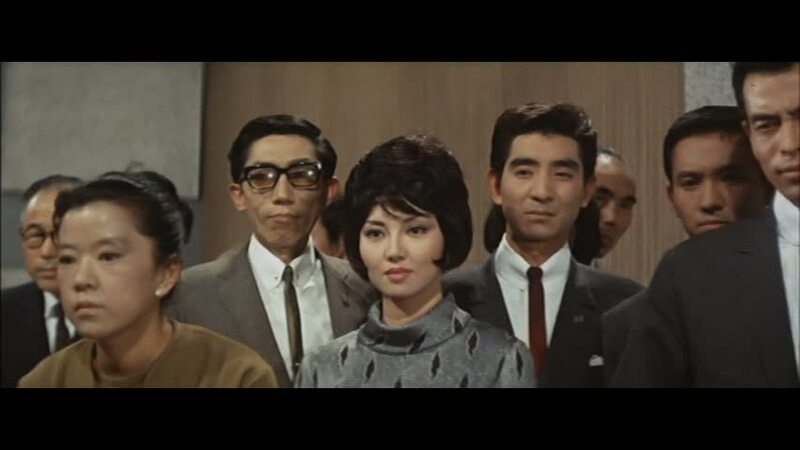 Additionally, I recommend this blog post from Eiji Tsuburaya biographer August Ragone. 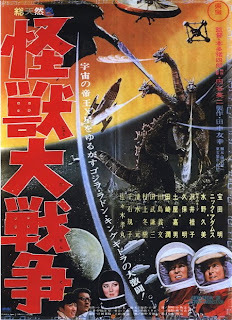 Astronauts Nick Adams and Akira Takarada journey to Planet X on the far side of Jupiter and encounter the inhabitants who promise a cure for cancer if they can "borrow" Godzilla and Rodan to fight Ghidorah -- Monster X -- on their planet. As can be expected, the aliens with their Devo shades are not to be trusted and soon they are plotting a takeover of Earth. 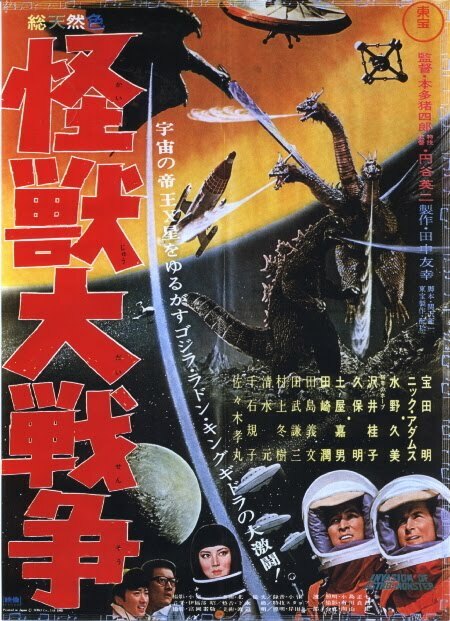 That's all after they transport Godzilla and Rodan to Planet X to fight Ghidorah -- it's a draw -- and then the monsters are all back on Earth wrecking havoc. Kumi Mizuno dies early in the film after confessing her identity to Adams. 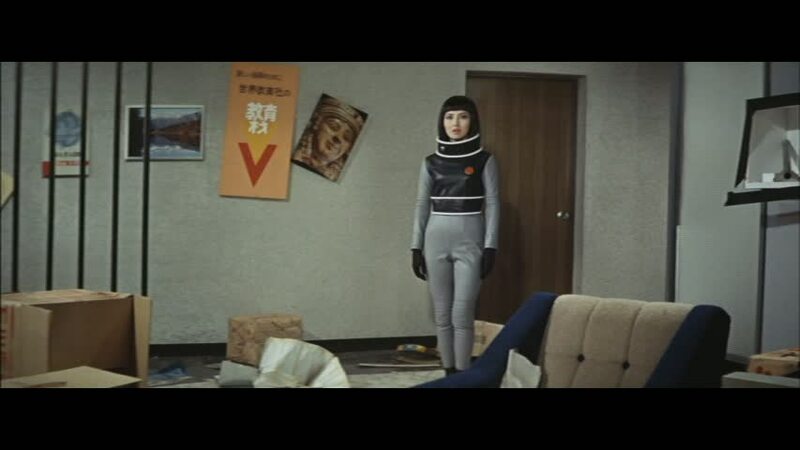 Invasion of Astro-Monster, even in the Japanese version that I watched recently, didn't hold up as well for me as an adult. I found the film a bit disjointed. However, the effects are pretty good and the fight scenes are fun, especially those on the surface of Planet X with Jupiter looming in the background.